The phrase “good things come in small packages” has never been more true with the Milwaukee 2663-20. Just when you thought that portable, compact, and cordless impact wrenches couldn’t possibly get any better, here comes this beast: the big bad brother of the Milwaukee 2454-22. If there’s any portable impact wrench than can replace all your portable impact wrenches and probably your big, noisy, air impact wrench with its cord that’s always getting in the way, this is it. The Milwaukee 2663-20 promises 475 ft-lbs or 5700 in-lbs of torque at a price of less than $150 (batteries not included). The Milwaukee 2663-20 18-Volt M18 1/2-Inch High Torque Impact Wrench with Friction Ring sports a few key features which make it really stand out from the rest. There are three words for this power tool: torque, torque, and torque. It that doesn’t do it for you, then you might not be looking for a real portable power tool. If there is any portable impact wrench that can remove those big, rusted bolts out of your truck as well as you vehicle’s crankshaft bolts, then that would be the Milwaukee 2663-20. This will surely put a smile on any grease monkey’s face. This cordless impact wrench has a four pole motor. These extra poles mean that motor has higher torque; however, this doesn’t necessarily mean more speed or rpm, just more torque. However, torque is exactly what you need for a tool of this kind. You’ll also find that the variable speed trigger is a helpful feature for this high torque impact wrench. You just can’t use this impact wrench at angry mode and at full power all the time without the risk of destroying and over-turning relatively small nuts and bolts, so taking it easy on those smaller bolts will stop you from stripping them and then needing to drill them out. The Milwaukee is powered by lithium-ion batteries (not included) just like its smaller version, the Milwaukee 2454-22. That means this cordless impact wrench can do continuous work without dying out too early – an essential feature or any portable power tool. If you’re a mechanic that wants to be free from cords trailing behind you all day, then this cordless impact wrench will serve your purpose. With this impact wrench you can do several suspension jobs with relative ease and probably with one charge; remove lug nuts and stubborn bolts that a smaller electric impact wrench can’t handle; loosen those big nasty old rusted bolts that have been sitting in place for two decades; and replace tires on a big rig. You can also loosen that 36mm axle nut; change engine and transmission mounts of a car; work on a ball joint for your pick-up truck; take sway bar links off. If you’re a mechanic, this cordless impact wrench can practically pay for itself with the amount of work you’ll be able to do. It’s a surprise that some are still not impressed with the Milwaukee 2663-20, even with its impressive features. Some say that it doesn’t work well even with a fully charged battery, that it can’t loosen a lug in a Dodge Ram 4×4, and that it took several tries to remove lock nuts off tires. Some even say that they would not classify this cordless impact wrench as a heavy duty power tool. The other downside is that it does not come with a built-in LED light, which you would think should come as a standard nowadays for a product of this kind. A lot of power has been squeezed into this portable impact wrench, and that means durability and wear and tear can also be an issue. 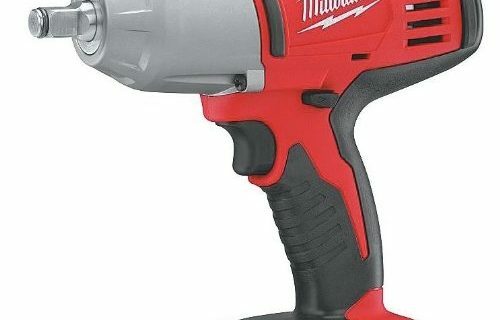 The Milwaukee 2663-20 has been said to have the tendency to lose its hammering power, making it a product that is too pricy for a relatively short productive lifespan. Longevity has been said to be an issue with this impact wrench. These issues seem to be more related to manufacturing defects, either in the tool itself, some of its parts or in the batteries used. It’s a good thing, therefore, that it comes with a 5-year warranty. One of the most essential features of an impact wrench, or any power tool, is power. The purpose of the power tool is defeated without enough of it, because the purpose of a power tool, or even a simple tool, is to make work easy. 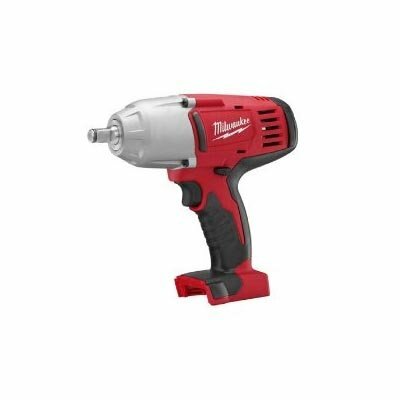 Therefore, power can be easily the number one consideration when choosing the best cordless, portable impact wrench, and you can expect that from the Milwaukee 2663-20. Next is staying power. This is more of a battery issue, and it’s best to choose a lithium-ion battery, which is the battery compatible with the Milwaukee 2663-20. The longer a tool lasts, the more value you can potentially get for your money. 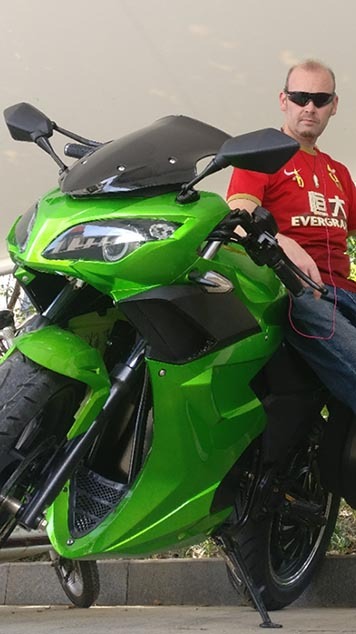 Ask around and read reviews of products you like because durability is something which you can’t really assess until you’ve had been using the tool for a considerable amount of time. Lastly, the price: if you are serious in getting a quality cordless impact wrench, the price should not be that big of a concern. The fact that this power tool doesn’t come with a charger or battery does not necessarily have to be a big deal if you take the other considerations into account as well. Overall, the Milwaukee 2663-20 is probably one of the best, if not the best, cordless impact wrenches you can buy. It’s a 9 out of 10.